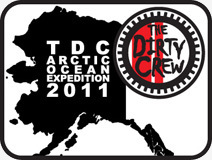 A subset of The Dirty Crew did the Washington Backcountry Discovery Route (WABDR) on a long weekend in late July 2012. Swamp Monster saddled up on the trusty first-generation Kawasaki KLR650, MotoBum on his trusty second-generation Kawasaki KLR650, and Last Minute Ryan (LMR) on his bought-the-night-before-from-a-dude-in-a-parking-lot 2012 BMW F800GS. The following posts document the excursion for posterity. Trip length was three days, plus an evening. Leaving separately as a team on Thursday after work, we headed to party and stay the night at The Friend Ian's house. There was a lot of partying and not a lot of sleeping, but getting to the WABDR trailhead from Portland was much easier than trekking all the way from Seattle on the first day. The WABDR is conveniently thought of as being six sections in length. The one-liner description, in our experience, looks something like this. Some snapshots and snapshot-style video clips were captured during the micro expedition. 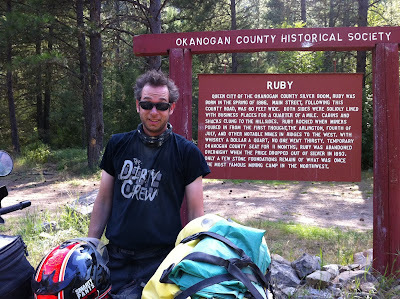 The following posts in this sequence, representing our three days of the WABDR, contain words, pictures, and some choice unlisted YouTube videos. The videos are raw and rugged. There is no music. There are no other people. The audio has not been scrubbed. These vids are just as the WABDR is. Perfect.